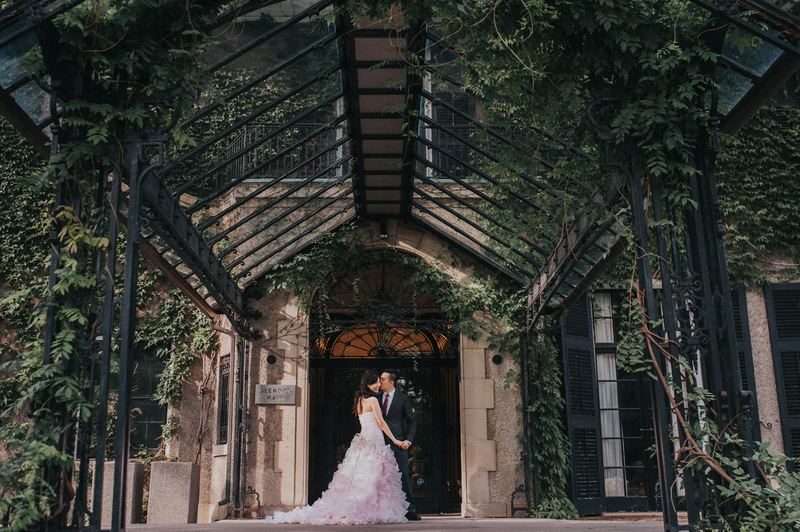 Sheryl was the type of bride who knew exactly what she likes – botanical, structural yet soft, and almost fairytale-like. Well this pretty much describes the Glendon Campus at York University, to which she and Kevin excitedly agreed to. Of all Toronto’s campuses, Glendon comes closest to resembling a country club. It began life in the 1920s and still kept its Italianate charm to this day. Their pre-wedding session ended up reflecting much of an impressionism charm, with a soft and dynamic mix of pastel colors that felt immersive of the garden’s whimsical vibe.